First of all, I would like to thank Milaap, for the work it does and how it reaches out to people who are in need. I cannot express how grateful I am to all the supporters who brought my baby back to normal and a cheerful life. It would have been impossible without your love and support that you have showered on our family. We felt really helpless when we got to know that the treatment will cost us a fortune. Milaap acted as the helping hand towards bringing donors to us and helping us, selflessly. It does not happen quite much when you want to thank people whom you have never met and they still help you in the time of need. Milaap made it happen, we are really grateful to all the donors who helped us when we lost all hope. It has created a strong urge in us to help anyone with whatever sources we have, and in any way, we can. Once again, I would like to thank Milaap and supporters, I am really out of words for how to thank you. I am Vishnu Rao, a Milaap Open fellow from Bangalore. I spoke with Ramya, Charvi’s mother over the weekend. 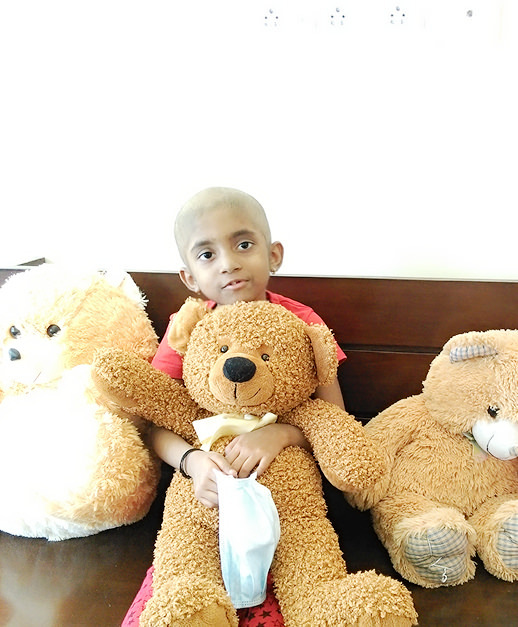 She has given me an update on Charvi’s health and a heart-warming message to all the donors. Firstly, Charvi had successfully undergone the BMT surgery on 30th December 2015. She’s now on her post BMT treatment. Her Hickman’s line was removed on 3rd May and her chemotherapy medication has also been reduced now. 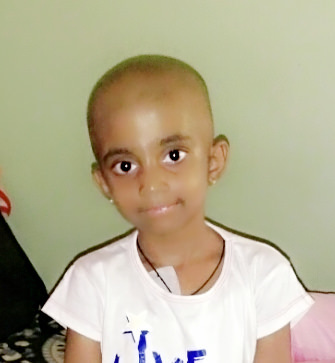 Owing to this, her hair has started growing and her skin complexion has also improved to a great extent. . Charvi will be celebrating her sixth birthday on 12th May. Ramya is hopefull of a successful and speedy recovery of her little one and seeks everyone’s blessings for it. She thanks everyone from the bottom of her heart for their generous donations. “Everyone has played a huge part in helping bring change in a girl’s life.” Below are some pictures of Charvi taken a few days ago. With the funds generated , Charvi has completed her successful BMT on 30 th Dec 2015. She's now on post BMT treatment. No greater joy is for us to see her in the recovery phase. Her Hickman' s line was removed on 3rd May, even her medication has been reduced which in turn is helping her hair growth and skin complexion. Charvi will be celebrating her 6th year birthday on 12th May. She seek your blessings for her successful & speedy recovery. We, Charvi parents and her relatives thank you all for your generous donation. Your commitment to help us no matter the amount, is sincerely appreciated. Your contribution has strengthened our trust that there are people who care and this has really motivated us. Our humble thanks to all. A special thanks to Milaap team who is beyond all this. Your whole team work to get d donations for the needy people whom you don't even know. We thank the team members from the bottom of our heart. 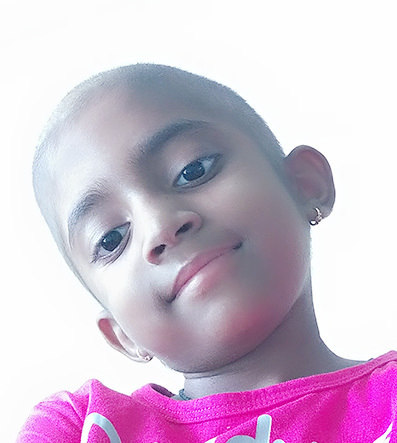 The picture attached shows Charvi in the recovery phase, her smile reflecting your blessings. Once again, Thank you for the help in bringing a change in a girl’s life.